Jacqueline Frakes received her law degree from Marquette University in 1990. 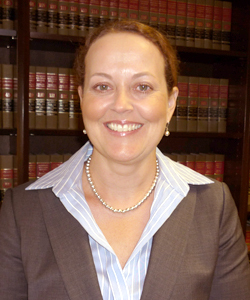 Ms. Frakes concentrates her practice in civil litigation, primarily insurance defense. She is an experienced trial lawyer and has represented clients in matters arising out of automobile accidents, premises liability, construction contracts, as well as insurance coverage disputes. Ms. Frakes has appeared before both the Wisconsin Supreme Court and Wisconsin Court of Appeals. Partner since 1993, Eiche & Frakes, S.C. Principal counsel in over 500 contested matters resolved through settlement, arbitration, trial and state appellate courts. Awarded BV rating by Martindale-Hubbell., demonstrating the highest professional and ethical standards.